When you're working in a medical setting, the comfort, and even the look, of your attire matters. When you're on your feet during the day, you need clothing that's comfortable and allows you to physically maneuver completely, but you probably also want to look your best. That's when buying the right pair of scrubs becomes a priority, and Dickies scrubs provides plenty of colors and fit options that will allow you to find a choice that will work for you day in and day out. Whether you own a medically-related business or you work at one, choosing a work uniform can result in employees looking professional and feeling like they can do their jobs. Dickies scrubs tops come in a variety of styles like snap front, v-neck, and mock wrap options. As an employer, you may choose to require all employees to wear the same style of top in an effort to create a uniform look. This practice can go a long way in making your staff look their most professional. Another option for uniformity is to require employees to wear the same color but allow them to choose which style works best for them. In this way, you are accomplishing the goal of a streamlined look for your company while still allowing some individuality among employees, and often this choice results in higher employee satisfaction. Dickies scrubs also offer a variety of pocket options with their tops. If you work in a medical setting and are constantly handling small objects, having a couple of vertically-aligned pockets can be a lifesaver. You can simply stow your small pieces of equipment in these pockets as you're circulating from room to room or as you're working with a patient. You'll also find several options with bottoms. For instance, if you like the look and convenience of cargo pants, bottoms are available in that style. If you prefer the simplicity of not having a drawstring, try the pull-on zip fly style. You'll even be able to choose the way you want your scrub bottoms to fit. 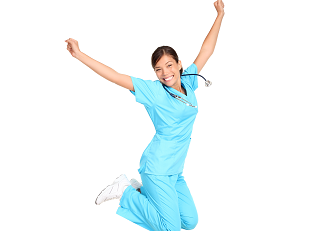 For instance, you can choose a more relaxed style, or you can go with the more fitted look that stretch scrubs give. You can also expect to find a wide variety of sizes. If you are unusually tall, or if your shorter height often hampers your clothing choices, you'll find that Dickies scrubs can most likely accommodate you. One more benefit of Dickies scrubs is the option of Certainty, an antimicrobial feature that comes in some tops and bottoms and allows for protection against the bacteria that employees in medical offices almost inevitably encounter. When you decide which style of scrubs is right for you, you'll almost certainly be able to find a color that matches the setting of your workplace. Dickies scrubs come in a veritable rainbow of colors, running the gamut from muted to bright. When you launch your search for the perfect scrubs for your staff or for yourself, you are likely to stumble across styles you haven't tried as you search through the available Dickies options. Remember that it never hurts to buy a pair with the idea of trialing them in the workplace for a few weeks. If they aren't perfect for you, you can always move on to another style. So, when you're looking for scrubs in Tulsa, OK, visit www.raleyscrubs.com for information and ideas.